Aharon Harlap is one of Israel’s most prominent and well known composers and conductors. He was born in Canada, where he began his musical career as a pianist. He completed his studies in Music and Mathematics at the University of Manitoba in 1963, and in 1964 immigrated to Israel. He studied composition under P. Racine Fricker at London’s Royal College of Music and Oedoen Partos at the Tel Aviv Academy of Music. He also studied conducting with Sir Adrian Boult in London, Hans Swarowsky in Vienna and Gary Bertini in Israel. Harlap is widely known as an orchestral, operatic and choral conductor and has appeared as guest conductor with orchestras and opera houses in Canada, the USA, Europe and South Africa. His own compositions have also been performed in all of these countries, including works for choir, chamber ensembles and symphony orchestras. In Israel he has appeared as guest conductor with most of the major orchestras, including the Israel Philharmonic, the Haifa Symphony Orchestra, the Israel Sinfonette Beer Sheva, the Kibbutzim Chamber Orchestra ,the Israel Chamber Orchestra and the Jerusalem Symphony Orchestra. In 1979 Harlap was awarded a prize for his oratorio The Fire and the Mountains in an international competition on the subject of the “Holocaust and Rebirth ” (text: Israel Eliraz). In 1983 he was the recipient of the ACUM prize for “Three songs for mezzo-soprano and symphony orchestra” set to poems by Leah Goldberg and Yehuda Amichai. In 1993 he won the Mark Lavry Prize for Composition, awarded by the Haifa Municipality, for his choral-orchestral work : “For dust you art, and to dust you shall return” (Genesis III). In 1997 Harlap’s opera Thérèse Raquin (based on the Emile Zola novel of the same name with libretto by Dana Gur) won a prize sponsored by the New Israel Opera, and in the same year he also received the ACUM Prize for his Clarinet Concerto, dedicated to Orit Orbach. In 1999 and 2014 he received the Prime Minister’s Award for composition, and in 2004 the ACUM Prize again, this time for his Bassoon Concerto, dedicated to Uzi Shalev, principal bassoonist of the Israel Philharmonic Orchestra. The opera Therese Raquin was performed (May 2005) at the annual Israel Festival, and received public and critical acclaim. A CD released in 1997 by the Haifa Symphony Orchestra, conducted by Stanley Sperber, included Harlap’s Symphony No. 2, L’Oiseau de la Guerre (Bird of War), which was inspired by the painting of that name by Dutch artist Hans Hogendoorn. 2002 saw the world premiere of The Divine Image by the Illinois Symphony Orchestra conducted by Kenneth Kiesler, at that time music director and principal conductor of the orchestra. The work is written for soprano, mezzo soprano and baritone soloists, choir and symphony orchestra, and based on texts from William Blake, Psalms and Isaiah. Other Harlap works performed by Kenneth Kiesler and the Illinois Symphony Orchestra include the overture “Anniversary” and an orchestral suite based on Hanukah songs entitled Music for the Festival of Lights. These works have also been performed throughout the years with other orchestras in the USA as well as in Israel . The “Anniversary” overture was performed several years ago by the Rishon le Tzion orchestra of Israel and their music director, Dan Ettinger. In 2001 Harlap was invited to Hungary to conduct the Dohnanyi Symphony Orchestra in Budapest. Among other works, the program included Harlap’s Clarinet Concerto and Pictures from the Private Collection of God , a song cycle for soprano solo, oboe and strings, composed to texts by Yaakov Barzilai, a Holocaust survivor originally from Hungary. The work met with great success, following which Harlap was again invited in 2003 and 2004 to conduct the Solti Chamber Orchestra, which again performed the same song cycle as well as another Harlap work based on texts from Psalms – a song cycle for soprano solo, clarinet and strings. Recently Hungary’s MAV orchestra performed another song cycle by Harlap: “My father will no longer bless the bread” also set to poems by Yaakov Barzilai and conducted by the Israeli conductor Yaron Gottfried. In 2004 the Donau Orchestra (Budapest) performed the third song cycle “Letters weeping in Fire” set to texts by Yaakov Barzilai , with conductor Harvey Bordowitz and the Hungarian mezzo soprano Maria Therese Uribe. Harlap’s opera Wings, composed under the auspices of Mifal Hapayis (the national lottery) and based on the writings of Gibran Khalil Gibran, received its world premier performance by the Israel Chamber Orchestra at the end of January 2005 under Harlap’s musical direction. In the 2005 season, the Israeli Philharmonic performed the world premiere of the Bassoon Concerto which received the ACUM prize in 2004. The work was composed for the orchestra’s principal bassoon player, Uzi Shalev, and was also performed by him. The conductor was George Pehlevanian. Harlap has represented Israel as an international choral adjudicator at the World Choir Games (Interkultur) that are held every two years. Harlap has been an adjudicator beginning in Busan, Korea; followed by Xiamen, China; Bremen, Germany; Shaoxing, China; Graz , Austria ; Riga, Latvia; Sochi, Russia; Cincinatti, Ohio; and in 2018 in Tshwane, South Africa. Aharon Harlap’s viola concerto was dedicated to the international violist Rivka Golani. The work received its premier performance in Budapest, Hungary on May 20, 2007 with the Dohnanyi – Budafok Orchestra, Budapest under the direction of the orchestra’s music director Gabor Hollerung. The Israeli premier was performed on Sept. 17, 2007 in Haifa, Israel with the Haifa Symphony Orchestra. The soloist was once again Rivka Golani, and was conducted by the composer. Harlap has been an Associate Professor (from 1976) in choral and orchestral conducting at the Jerusalem Academy of Music. 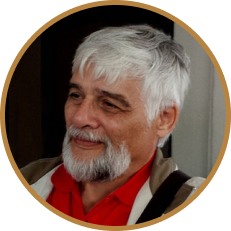 He is the Music Director and conductor of the Kefar Sava Chamber Choir since 1997. Since 2015 is teaching at the Givat Washington Collegiate in Israel. Formerly head of the Opera department at the Jerusalem Academy of Music, music director of the Tel Aviv Philharmonic Choir, Kibbutz Artzi Choir, Jerusalem Academy Chamber Choir and Upper Galilee Choir. Aharon Harlap received the “Life Achievement Award” in 2008 from ACUM (Composers’ and Authors Organization of Israel) for his life’s contribution to music in Israel as a composer, conductor and teacher. Harlap’s second piano concerto’s world premier was performed at the “Sounds of the Desert” Festival at Sde Boker in Israel on December 21, 2008 by the Israel Philharmonic orchestra, conducted by Omer Wellber. The piano soloist was Nimrod David Pfeffer. On October 17th, 2009 , Harlap’s song cycle for soprano solo and chamber orchestra “Out of the depths have I cried unto Thee O Lord”, received its world premier with the “Israel Sinfonietta Beer-Sheva” at Beer-Sheva, Israel. The soprano soloist was Sharon Rostorf-Zamir and was conducted by the Orchestra’s Music Director and Principal conductor Maestro Doron Salomon. On December 6, 2009 , Harlap conducted his “Psalms” with the soprano soloist Sharon Rostorf-Zamir and the George Solti Chamber Orchestra in Budapest, Hungary. In November of 2010, The Israel Camerata, Jerusalem under the baton of their musical director Prof. Avner Biron, performed the world premier of “Sinfonia Breve” in eight performances throughout Israel. Harlap’s “Concerto for Orchestra” received its world premier with the Dohnanyi-Budafok Symphony Orchestra, conducted by the orchestra’s music director Gabor Hollerung on Jan. 14, 2012.This was also performed in 2016 with the Israeli Rishon le Tzion orchestra at the annual Israeli Music festival , conducted by Yuval Zorn. In February, 2012 Harlap received an award from Mifal Hapayis (National Lottery) for his Musical play “King Solomon and the Bee”, scored for soprano, mezzo soprano, and baritone soloists, narrator, mixed chorus (SATB), piccolo and string orchestra. 1. Itamar – a children’s suite for flute and string orchestra (dedicated to and named after Harlap’s grandson Itamar). 2. Kohelet – a cantata for soprano, mezzo-soprano and baritone soli, SATB chorus and piano/string orchestra. On February 23rd, 2014, Harlap’s concerto for 2 pianos and symphony orchestra was performed at the Conservatoire in St. Petersburg, Russia with the duo pianists Tami Kanazawa and Yuval Admony. Harlap’s orchestral composition “Memoirs” (2016) was performed by the Budafok-Dohnanyi Orchestra in Budapest with guest conductor Roberto Paternostro. His REQUIEM for soprano and baritone solos, chorus (SATB) and symphony orchestra had its premier in Jerusalem in 2017 with the Jerusalem Chamber Choir and the Kefar Sava Chamber Choir, soloists (soprano- Yuval Oren and baritone- Gut Pelc) and the Jerusalem Academy orchestra , all conducted by Stanley Sperber to whom the REQUIEM was dedicated. On December 28th, 2016 Harlap’s “Sinfonia Breve” was performed by the Israeli Philharmonic Orchestra in Tel Aviv, Israel conducted by the orchestra’s music director Zubin Mehta. 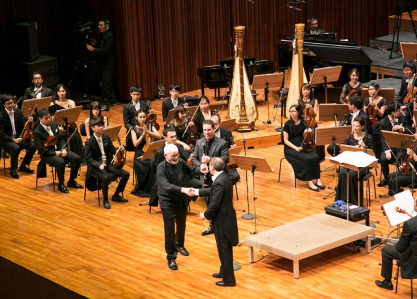 On August 18th and 19th, 2017 , Harlap’s clarinet concerto was performed in Bangkok with the Thailand Philharmonic Orchestra. The clarinetist was Calogero Palermo, first clarinetist with the Concertgebouw Orchestra, Amsterdam, and the conductor was Alfonso Scarano, chief conductor of the Thailand Philharmonic Orchestra. 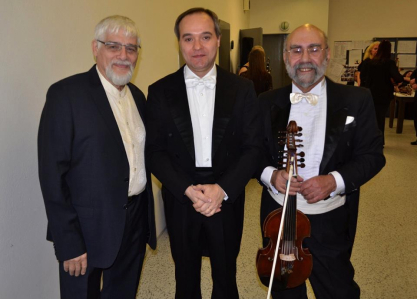 On March 6, 2018 the Viola d’amore concerto received its premier with the Teplice (Czech) Symphony orchestra conducted by Maestro Alfonso Scarano (Italy). The viola d’amore soloist was Daniel Fradkin (Israel). Harlap’s 2nd clarinet concerto will have its premier performance in Budapest, Hungary with the Dohnanyi – Budafok Symphony orchestra, conducted by the orchestra’s music director, Maestro Gabor Hollerung. The soloist, to whom the concerto is dedicated will be Bence Szepesi (Hungary). A recent work, a Magnificat for mezzo-soprano and baritone soloists, chorus (SATB) and piano (chamber orchestra) had its premier ( 2017) with the Kefar Sava Chamber choir and soloists Nitzan Alon (mezzo-soprano) and Yair Polishuk (baritone), conducted by the composer. The Magnificat was performed again with the same soloists and choir on November 24, 2018 at the Emmanuel Church in Yaffo, Israel , with accompaniment by the organist Arin Maisky. In April 2019 the concerto for soprano and alto recorders and string orchestra will be performed by the Camerata-Jerusalem Chamber Orchestra in Israel, conducted by Paul Goodwin (England). The soloist will be Bracha Kol, (Israel) , the well known recorder player and mezzo-soprano.The concerto is dedicated to Bracha Kol in loving memory of Harlap’s dear friend Gershon Prensky. All of Harlap’s major compositions are published by the Israel Music Institute (IMI) and Or –Tav Publications.